Why would people take extra courses – when they already have projects, exams, vivas, moots and god knows what else? In some colleges, they teach 50 subjects in 5 years, while BCI recommends almost 30 mandatory subjects. Why on earth will anyone want to study more law? We had to answer these difficult questions when we decided to start a new course for law students. We were quizzed by a lot of people – our faculty, decision makers at NUJS, our colleagues and bosses at Trilegal, even our parents. “Why were we quitting our lucrative jobs on this wild goose chase that seemed rather unattractive?” they asked. We believed that we understand something that none of them did. 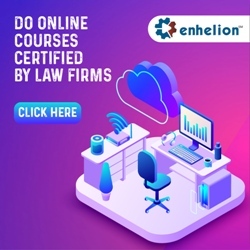 Yes, I know it is very audacious – but we very strongly believed in what we were about to start – a legal education company -which will make learning law easier, simpler and faster. We decided that everything we create will be effective, relevant and accessible. We promised to ourselves that we shall not let traditional wisdom stop us from innovating and delivering education that solves real life problems. Over the last six months, with our first batch of 170 students (I am not sure if I should call them students – some of them are double my age, many of them way more accomplished than any of us), which constitutes of lawyers, patent attorneys, MBA students, engineers, entrepreneurs and a large number of law students, we tried to live up to those promises. We reached out to our students, aggressively asked for feedback on content, form and usability – and acted on such feedback. We analyzed their usage pattern and identified where they are struggling to learn, and smoothened out the rough edges. Law students join our courses with a simple goal – to learn business law. 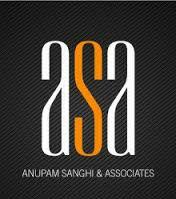 We are aware of the gap between the aspiration of students and what is actually taught in law schools or law colleges. 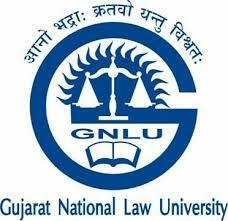 There is not a single national law school from which we do not have students, with the exception of NLU Assam. We have students from each of the years you can think of, and even graduates who are practicing or working in a law firm for the last one or two years. Why did all these people join our course? We knew that the answer was important – and that the answer would determine the trajectory of our company for a long time. We all went to law schools with the dream of becoming the best lawyers in the country, or at least a legal expert – but in reality, by the time law school is over, people find that they have very little useful skills. They have studied contract law, read a lot of cases, but have no idea as to how to draft a simple contract. They have done a major in commercial laws – but they have no idea about how commercial transactions are carried out. They don’t know the simplest of tasks that even the worst lawyer is expected to do. Even the best Indian law schools do not teach business laws in a systematic way. It is not only practical knowledge that is lacking – even theoretical knowledge about very important areas of law practice is completely missing from curriculum. Do you learn about joint ventures? Do you have any idea of technology transfer agreements? Do you even know what lawyers mean by a projects or project finance practice? Let me share a real life example. I was taking a workshop at a well-known law college in Bangalore. At some point, I asked the students if they know anything about mergers and acquisitions. Most of them said that they did – as they are studying M&A Law as a full-fledged subject. The M&A Law teacher was incidentally also sitting in the class. Quite impressed, I asked them if they knew what was the first step in an M&A transaction. They had no clue. They didn’t even hazard any guess – they just didn’t learn that sort of thing. I mentioned that the first step is a Letter of Intent. I thought perhaps they didn’t understand my first question – and so asked them what a Letter of Intent is. No one, including the teacher, had any idea. If you are a law student – stop here. Think – do you want to learn business law? Are you really learning what you want to, or need to learn to become a good lawyer? Having a vague idea about what is IPO does not make you an expert in capital markets law. You need to know enough so that you can advise people. The people you will advise will be professionals. Can you match up to their standards? 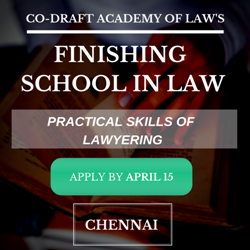 Are you learning enough to become the legal expert you hope and need to become? 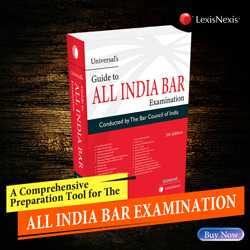 Will reading contract law and constitutional law cases help you to get there? My experience is that most law students in India are nowhere close to that standard. The few who are able to display anything close to that standard out of intelligence, personal efforts and sometimes luck are the ones who do well and get selected by law firms or in-house legal departments. Most law graduates struggle to find suitable jobs due to lack of knowledge and skills. What are practical skills? Think of all the things you have learned, or still learning in your college – is any of that going to help you to achieve a practical purpose? Can you visualize someone benefiting from your knowledge? Do you have any skill that can be used to fulfill yours or another person’s needs? In most cases, you’d see that you know a lot of things that are almost useful – but fall short of being something that a client would actually pay for – because you lack certain skills or knowledge. That is the practical knowledge I am talking about. It’s great that you studied IP law. You scored top marks in the copyright course. If I want to transfer my IP in my latest book to my aunt, can you do the formalities and documentation needed for that? Can you draft the necessary contracts? Do you know if any forms have to be filled and submitted to the Registrar of Copyrights? That would be quite useful – someone may pay for that. Compare that with all the theoretical stuff you learnt about copyright – without practical skills, they will remain useless forever. 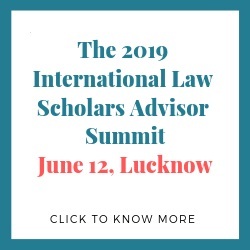 Most law students learn the fact that their legal knowledge acquired through classroom scholarship in law schools is insufficient for them to cope with the real world scenario the hard way – through internships and the jobs they take up immediately after graduation. Internships provide exposure to very limited areas of law. Most interns are caught unprepared and a majority of them are unable to perform their best due to lack of clarity on practical aspects of law. Another important aspect for law students is to understand the commercial intent behind legal provisions and transactions. As a practicing lawyer, especially in corporate practice, it is indispensable to have a great perception of commercial intent behind different types of transactions and interests of the client. This is a major obstacle that students face during their transition into the professional world. We wanted to solve each of these problems through the course we started with NUJS, Kolkata; working on it as soon as we left our respective law firm jobs. We knew we have succeeded when our students gave us feedback. We wanted to make it simple but awesome. Effective, In-depth and yet easy to understand. We wanted to give a confidence boost to our students when it comes to practice of law. We wanted our course to be unique and very special. Students told us that we have succeeded. We know we are still on the job – and we are going to make it way more awesome. The second batch of the course is starting from 30th January 2013. If you want to learn more about the course, visit the website here. To view the syllabus of the course, see here. To get more information about the course, you can sign up here. You can also fill the form below. That was 5 minutes wasted on an advertisement which ain’t coming back! THE MOST REVOLUTIONARY LAW COURSE EVER! OH MY GOD TAKE ME AWAY ON THIS MAGICAL JOURNEY! Dear Anon – sorry about your problem with the pay with a tweet button – we have now removed it. It was an experiment – which didn’t work. Please do not sell your souls. Also, we do not only teach how to register LLPs and draft contracts – we teach major areas of business law like investment laws, SHA/SSA, government procurement etc. Of course, if you know how to draft contracts – it will make a difference in your internships and job interviews. At least the law firm partners we consulted while making our syllabus and writing our modules thought so. They even thought the bit on incorporation (which you seem to think is not useful) is quite useful for junior lawyers in a top law firm. All of this is verifiable – we document all these things – feel free to come to our office if you want to see the records. I will not share their names here – although you can see some names in our faculty and contributor lists if you want. thanks for your comment. 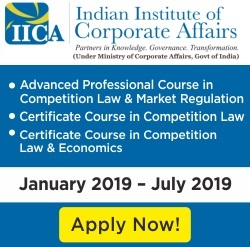 On the price – we are providing one of the cheapest courses in this genre (please consider the syllabus and dont compare with much smaller courses). The entire material is original – we actually consult people with highest level of practical experience before writing our material. 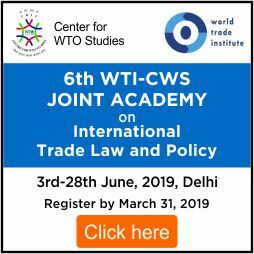 If we are writing on customs law for example – we consult several customs officers and go through many iterations before finalizing the material. I dont think you have any realistic idea about our material if you are saying what we provide is available on internet. We invite you to come to our office any day and witness the entire process of how things are done here. You can also download our free sample chapter available on the course website to get an idea. Our material if thoroughly researched, unique and we take great pride in it. We provide it online, because had we given hard copies then we would not get a chance to continuously evolve them, and keep them updated at all times. Our subscribers understand the benefit of this. This is one major difference between this course and other numerous courses in the market. We speak to each of our students from time to time, and we take feedback from them. Most of them have provided awesome feedback – each and every testimonial provided above is authentic – if you want to verify – you are welcome to contact me or the persons concerned directly. (Please do not violate their privacy in the process) We have another hundred testimonials shared on our website, each of them genuine and verifiable. Is it a must have elixir? We certainly working to make it that – but we do not yet claim that it is. Is it awesome? hell yeah – our subscribers say so. I do not know who your friends are – but i would like to hear from them why they were not impressed and why they dont tell us when we repeatedly contact them for their opinion and feedback. If you know it I invite you to share the reasons over here. Okay. You are doing something different. But you only give modules online and charge a whopping 20 k for stuff that one can find on the internet. I don’t know how to register an LLP, but when I go for an interview, I don’t have to know that. 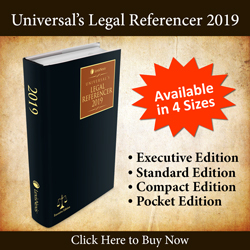 While I am not a fan of our legal education system, I don’t think that I need to how to draft a software licensing agareement when I am still in law school. And please, stop quoting people like that, it looks really ridiculous, I know people who are taking this course, and fact is, they aren’t really impressed. You are free to do and promote your business, but don’t sell it like a must have elixir. Yeah, whatever you try to build or create — be it a poem, or a new skill, or a new relationship — you will find yourself immediately surrounded by non-creators who trash it. Maybe not to your face, but they’ll do it. Your drunk friends do not want you to get sober. Your fat friends do not want you to start a fitness regimen. Your jobless friends do not want to see you embark on a career. Just remember, they’re only expressing their own fear, since trashing other people’s work is another excuse to do nothing. Yeah really? Net promotion? You know how it works? Please tell me also 🙂 share a link if you can – or do i have to take your words for it? have you seen how many people liked the stories on lawctopus page? Man – some people can be so jealous..go do something positive on your own rather than bitching on the internet about other peoples work. That is net promotion. You clearly dont know how it works. same tactics that Bar and Bench uses. Its not 440 people who shared it. You pay and it will show. Thats why im surprised lawctopus is indulging in this. I thought this is a non-profit venture. Anyway. Doesnt matter. What matters is that they disclose whenever a paid post comes. The readers have a right to know. Just because lawctopus is popular, they shouldnt misuse their popularity. This is clearly paid news. Should lawctopus be indulging in such activity? promoting something just for sake of money with no disclosure that this is paid post? this seriously undermines your credibility. I would appreciate if my post is published rather than trashed. I guess the 441 people who liked this article didn’t feel this is an advertisement. Abhijeet Chill, there are many law colleges in Bangalore. I know you are probably from one of the worst law colleges as you still didn’t get the statement-assumption logical reasoning right. Rest assured, the world is not centred around you. And no I wasn’t confused at all in this matter. While this write up is well appreciated, Lawctopus, aren’t you getting too NUJS-centric off late? For all the love which Mr. Kalia and his friends have for their alma-mater; if you claim to be a pan law schools portal, you might as well like to become one. In the example that you mentioned… about the well-known law school. Did you perhaps consider the possibility that may be the students did know about the letter of intent but chose not to answer you for some reason or the other? Like for example because you had spent more than 30 minutes telling us your life story and so bored the audience? Mr. Mukherjee while i laud your initiative but what i dont understand is the phrase “a well known law college in bangalore” has been used in this writeup. 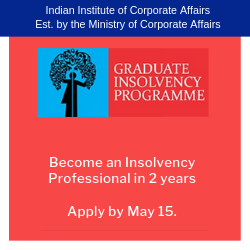 I am from the premier law school situated in bangalore itself, and i take offense at that innuendo. Please try to be clear in your references because rest assured in my university, that is NLS we know about LOI and M&A! Just thought the readers shouldnt be confused in this matter.